February is one of my favorite months because of many reasons including that it is the birthday month of Papertrey Ink. Today marks the official kickoff of the 4th birthday celebration--please go to Nichole Heady's blog to find out more as you won't want to miss a thing. The design team who are some of the most creative and imaginative stampers around each chose their favorite card in 2010 and we, the fans and customers of Papertrey Ink, were likewise challenged to choose our favorite card of 2010 using Papertrey Ink stamps and products. 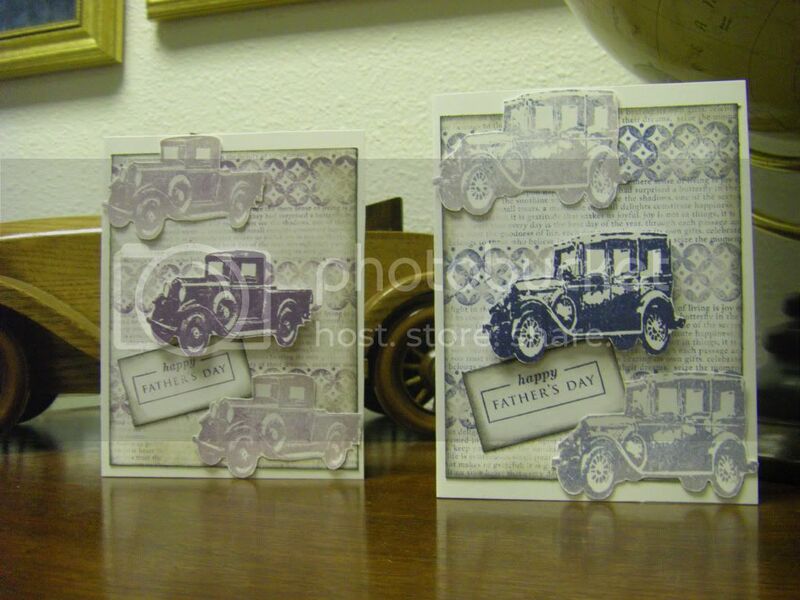 Due to my love of Papertrey Ink's background stamps and because it was the last card I made for my dad's dad as he died a few days after I sent the card these cards are sentimental favorites. You can find the original post here. Happy birthday, Papertrey Ink! I hope we can all celebrate many more years of your continued brilliance and success! Thanks for stopping by the Hall! I just wanted to say hello and to also say that I just love this card. The colors that you picked for it are perfect.